For kids ages 8 to 12, this is an accessible and fun meditation and mindfulness how-to book filled with full-color illustrations, written by Mallika Chopra and with a foreword by Deepak Chopra. Beginners will learn the basics of meditation and how to get started, and those more experienced will learn how to improve their practice. This book will also teach kids how to prepare their own meditation spaces. 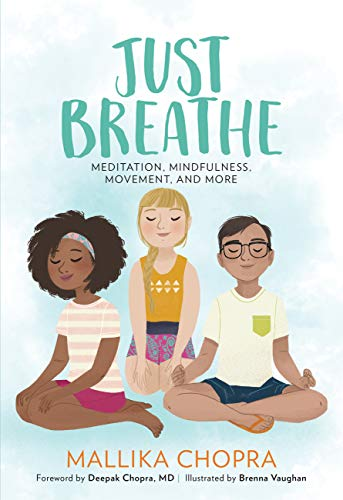 Just Breathe is the go-to book for kids who want to learn more about mindfulness and meditation.